Even if you don’t keep on top of Canadian food policy, you’re probably aware of the conversation surrounding genetically modified food labelling. You’ve seen non-GMO labels at the grocery store, and maybe you buy those products. These labels can bring comfort in the form of knowledge about what is (and isn’t) in the food we eat. They identify specific standards by which the ingredients, inputs, and processing agents used in the products are assessed; however, it’s important to be clear on which guarantees are attached to which labels. Non-GMO certification can meaningfully build upon the goals of organic agriculture, ensures transparent food labelling, and increases consumer awareness and confidence about agricultural practices. 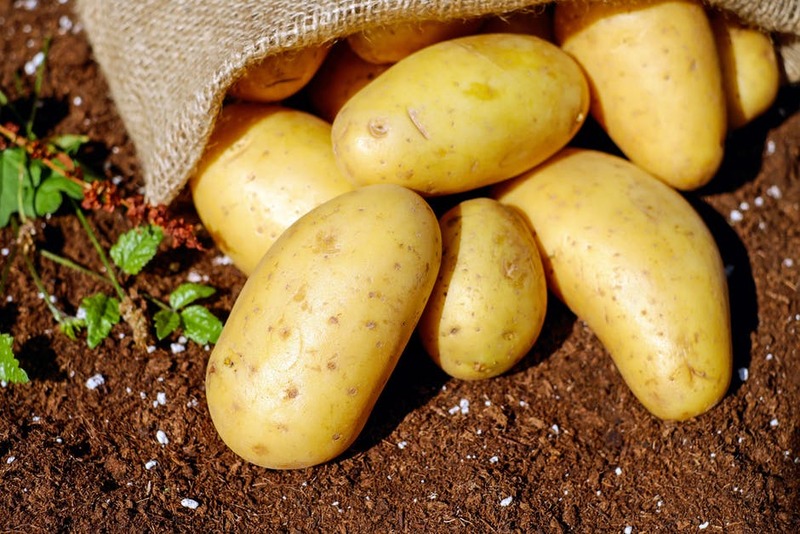 Still, it is important to keep in mind that it does not have the same scope that organic certification does, and that no other label replaces the multifaceted set of standards that organic certification adheres to. According to the Canadian standards on GE labelling, genetic engineering means changing an organism’s genetic material in ways that do not occur naturally by multiplication or recombination – for instance, recombinant DNA techniques. This is not to be confused with selective breeding, which is the traditional method of selecting beneficial mutations. The first genetically modified (also called genetically engineered or GE) food hit commercial markets in 1994. Since then, there has been a great deal of controversy surrounding its use, and a degree of skepticism about its long-term health and environmental impacts. Studies on this topic are divided: many have repeatedly assured that experts think GE crops are safe to eat, while others say that there is no scientific consensus about their long-term impacts. Additionally, many feel that genetic engineering goes hand-in-hand with a corporate chemical agriculture monopoly, which disallows traditional farming practices and decreases food sovereignty around the world. Regardless of which side of the controversy you fall on, greater transparency in food labelling is a goal we should strive for. GE labels can effectively achieve this, but it’s important that in our search for accountability we do not neglect other components of the holistic agricultural approach, many of which are incorporated into the Canadian Organic Standards (COS), Canada’s national standard that sets the guidelines for organic agriculture. How do we define and label GE in Canada? Canada adopted a voluntary genetic engineering labelling standard in 2004. Under this standard, producers are not required to disclose if a product is GE or has GE components (though there have been numerous attempts to change this over the years). However, those who wish to market their products as non-GE must adhere to a number of regulations. Because federal standards are fairly loosely defined and enforced, Canadian producers face difficulties with how to clearly indicate that their products did not contain GE ingredients. To show consumers that their claims are third-party verified, many turn to independent non-GE labels like the Non-GMO Project, which was created in 2007 by The Natural Grocery Company in Berkeley, California, and the Big Carrot Natural Food Market in Toronto. Both stores had been working for years to provide their customers with information about the presence of GE foods in their products, and wanted to create a standard definition for non-GE products across North America. Maureen Kirkpatrick has worked at the Big Carrot for the past nine years, and currently sits on the Non-GMO Project’s board of directors. She says The Big Carrot’s commitment to the Non-GMO Project is motivated by the precautionary principle – consumers should have a right to know if GE substances are in their food. The Non-GMO Project’s certification process places tight restrictions on major and minor food ingredients, as well as production and processing inputs. It emphasizes testing of all major (testable) high-risk ingredients – to obtain certification, producers must demonstrate through testing and traceability that every component of their product meets the Non GMO Project’s Standard. Ingredients that we might not often think of, such as commercial yeasts, inoculants, and other processing agents can also come from GE sources, and so the Non-GMO Project’s certification process is necessarily stringent. For this reason, certification costs range greatly; products containing corn, sugar beets, soybeans, alfalfa, and canola are considered high-risk, since GE variants of these crops are widely present in our food system. 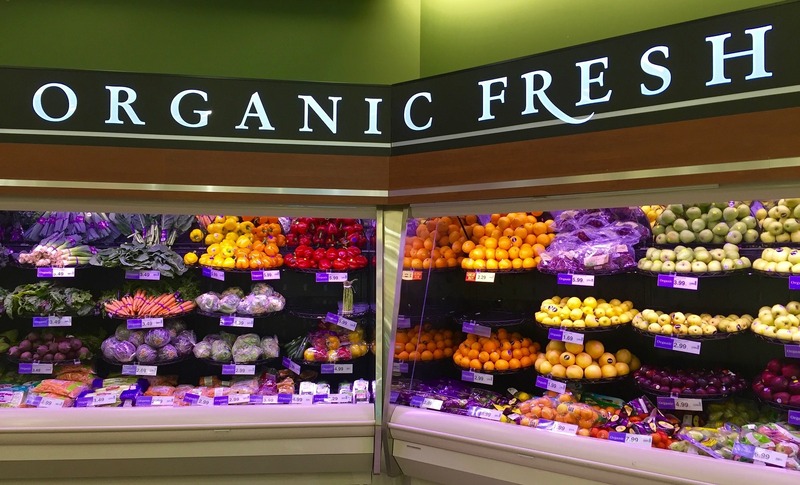 And, like organic farmers, non-GMO producers have to finance the upkeep of their certification by continuing to purchase specific inputs and ingredients, and absorbing the loss of the premium if their products get contaminated. This is part of the reason why organic and non-GMO products are more expensive to purchase. The Non-GMO Project has come under fire in the past for certifying products that have no apparent GE variant without requiring a qualifying statement, including oranges and salt. Although the Canadian Food Inspection Agency (CFIA) initially forced some companies to adjust their labelling practices in response to public sentiment that this practice was deceptive, they ultimately concluded that the Non-GMO Project label is not technically a non-GE claim in the way the standards define it, and as such those who use it do not have to provide qualifying “like all…” statements, and can use the Non-GMO Project emblem. This is allows producers to bear the label even when their products do not have a GE variant, which some feel plays into consumer fear and lack of understanding surrounding GE food. Kirkpatrick, however, feels that limiting the label’s use to only products with a potential risk of GE contamination would create more confusion: for instance, in order to understand why one corn-based cereal is non-GE certified while another oat-based cereal is not, consumers would have to understand that while corn has a high risk of GE contamination, GE oats are not commercially available in Canada. Additionally, she points out that while salt, for instance, cannot be genetically modified, many additives like anti-caking agents commonly contain GE ingredients. As such, these labelling practices are not as superfluous as they may seem. The Non-GMO Project seeks to educate consumers about these types of issues, to increase overall public awareness about the position of GE substances in the agriculture system. 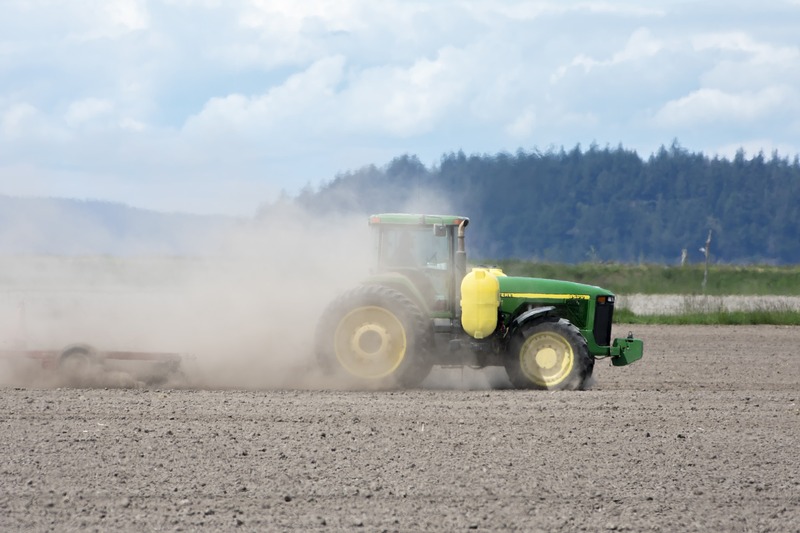 The Canadian Organic Standards also prohibit the use of GE substances in organic farming. As such, we might wonder why multiple single-issue labels are necessary, or why some products are labelled organic and non-GE (often in addition to several other labels) at once. Kirkpatrick feels that the specificity of single-issue labels is both a strength and a limitation. Though The Non-GMO Project does not verify anything aside from GE content, it provides focused expertise on GMO avoidance in a complex global supply chain. 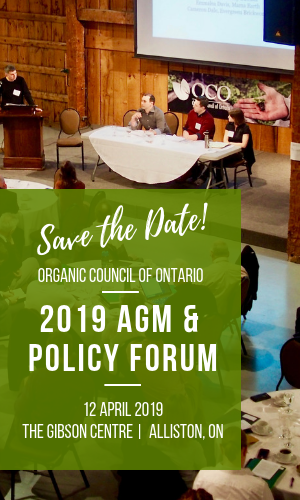 So, although the Canada Organic label already signifies a non-GE promise, producers may choose to use the Non-GMO Project label as well to demonstrate their commitment to further testing and to call out to consumers that genetic engineering is an issue they care about. Kirkpatrick believes that labels are stronger together, and that pairing the Non-GMO Project label with the organic label, fair trade labels, and more can make consumers feel more assured about what they’re buying. Organic farming is a holistic approach to agriculture designed to foster health, fairness, ecology, and care for generations to come. 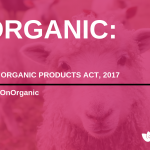 In addition to GE substance prohibitions the Canadian Organic Standards (COS) contain rules about animal welfare, pesticide use, and other factors that consumers may want to consider when choosing food for themselves and their families. The COS do not allow the use of persistent synthetic pesticides or fertilizers; rather, they encourage farming practices that protect soil quality and promote sustainable regeneration. They also prohibit the use of non-therapeutic hormones and antibiotics in livestock farming. If organic livestock must be treated with antibiotics, they are removed from the group for twice as long as is standard practice in conventional agriculture. 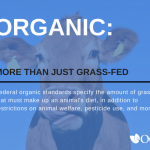 Organic farmers do not engage in practices such as tail docking or de-horning, and livestock must be granted access to pasture during grazing season; organic livestock must be raised responsibly in ways that mimic their natural behaviours. 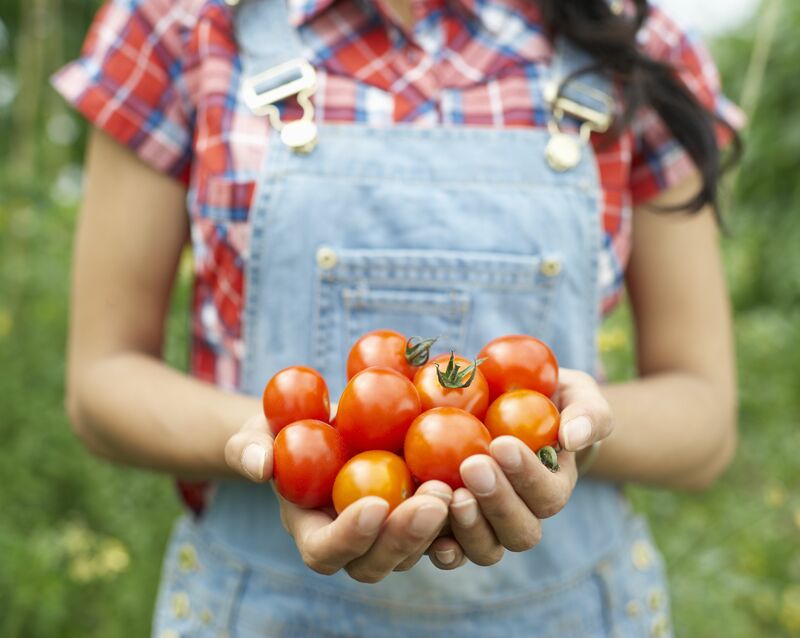 The principles of organic agriculture aim to encompass a broad range of issues, from health benefits to environmental justice to animal welfare, which is why certified organic products can be more expensive than products with other, single-issue certifications. And, although consumers who support increased food transparency should certainly support the Non-GMO Project and other endeavours that respond to demand for mandatory GE labelling, non-GMO labels alone do not guarantee other sustainable or holistic farming practices. Organic standards and regulation address GE concerns and more, as part of a far-reaching and sustainable vision of agricultural production.